For some reason, nothing from this assignment ever saw the light of day. I don’t know why, but here’s my favorite one. (right to left) Madison Salach. 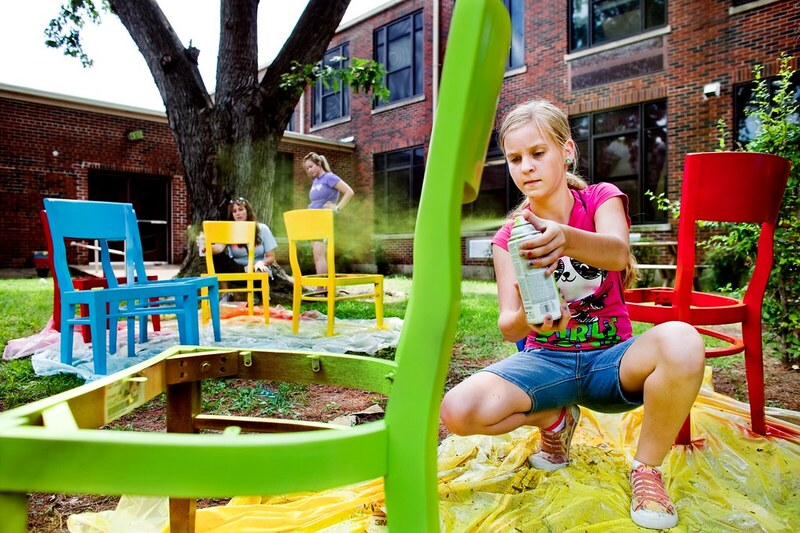 on a mission trip for First United Methodist Church from Tulsa, OK, Katie Foster of Fellowship Memphis and Brooke Greene of Makeover Memphis spray a new coat of paint on some chairs at Kingsbury High school for the teacher’s lounge. Fellowship has had a 5 year partnership with Kingsbury with volunteering time, money and service to the school. Fellowship worked with Makeover Memphis and a youth group from First United Methodist Church from Tulsa, OK to give the teacher’s lounge a much needed makeover.